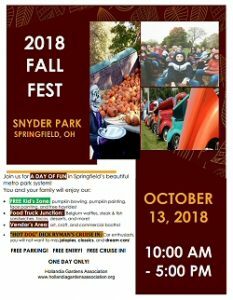 Hollandia’s Fall Fest is another family oriented event for all ages, held to showcase the charm and beauty of Springfield’s Snyder Park. The festival offers fun and games for children, a large selection of art and craft vendors, and a variety of food vendors to suit everyone’s taste. This event is held annually around mid-October. This year it will be October 13, 2018. 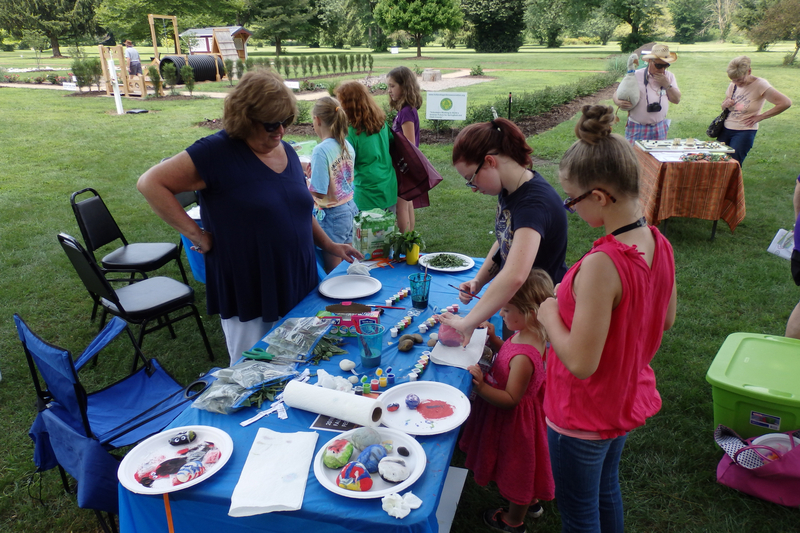 May 18, 2019 at 11:00 A.M.
A celebration of the gifting of the Children’s Garden to the City of Springfield will take place. The public is welcome to this event. There will be special activities for children who attend. The garden will officially be named the Kiwanis Children’s Garden. 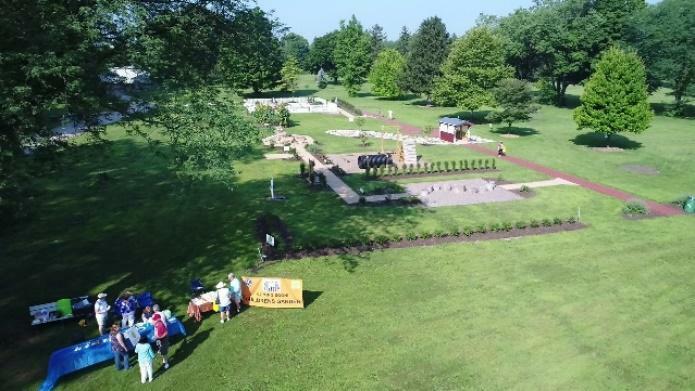 Snyder Park Gardens & Arboretum in conjunction with the Ohio State University Extension Master Gardener Volunteers invites you to their Jubi!ee the First Saturday of August from 9:00 a.m. – 3:00 p.m. 1900 Park St., Springfield, OH. Come See the Gardens!!! – Perennials Beds, Research Field Trials, Turf Research Plots, Early Ohio Settler’s Garden of Eatin’, Victory Garden, Hundreds of Plant Varieties and so much more! See the Plant “Doc” – bring a plant sample, there will be Speakers and Demonstrations, Children’s Activities, Vendors and Exhibits, Live Music.